British female pop duo Bananarama – composed of Sara Dallin and Keren Woodward – have a recorded a song originally performed by MKS for their eleventh album, “In Stereo,” which will arrive on April 19 via iTunes and all other digital streaming outlets. 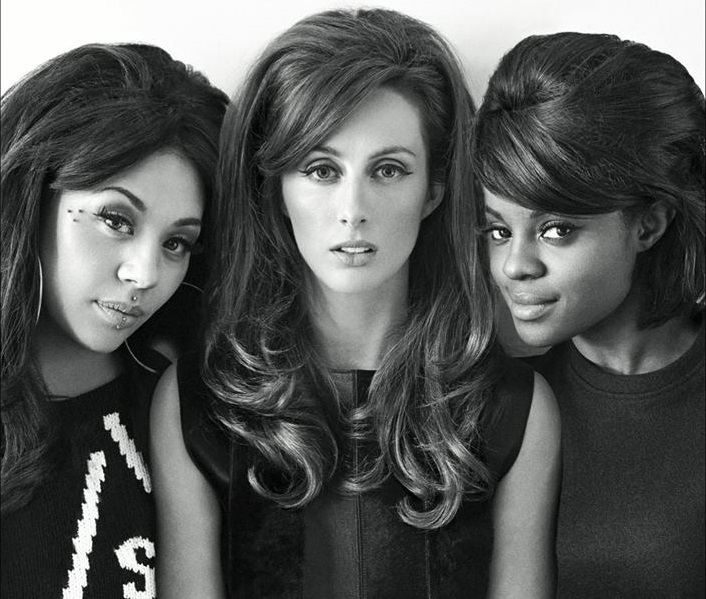 Originally formed in 1998 as Sugababes, MKS have released their last single “Flatline” (which was co-written and produced by Blood Orange’s Devonte Hynes) in 2013 via Universal Music Group / Polydor Records. Their highly-anticipated album featured further contributions from Richard “Biff” Stannard (“Beat is Gone”), Shaznay Lewis (“Boys”), Tom Aspaul (“Burnt Out”), MNEK (“Drum”), Iain James (“Love Me Hard”), Sia (“Surrender”), Eliot James (“Summer of 99”) and Mojam (“Too in Love”). Watch the music video for “Flatline” below. Mae Muller has shared the music video for her new single online. The visual clip for “Busy Tone” was posted to the British singer/songwriter’s Vevo channel on Friday (December 14, 2018). Muller’s current project “Frankly” – featuring further productions and songwriting contributions from Oscar Scheller, Tom Aspaul, Ajay “Stint” Bhattacharyya, and Tony Esterly – is now available via iTunes, Apple Music, Amazon, Google Play, Tidal and all other digital streaming platforms. Watch the music video for “Busy Tone” below. Mae Muller has confirmed the details for her upcoming debut project. The British singer/songwriter christened her first mini-collection “Frankly” and will release it on December 7th via Universal Music Group / Polydor Records. Current promotional single “Pull Up” – which was collectively produced by Benash and John Foyle – is now available via iTunes, Apple Music, Amazon, Google Play, Tidal and all other digital streaming platforms. Among the songwriters and producers backing Muller on the “Frankly E.P.” are Benjamin “Two Inch Punch” Ash (Sam Smith, Ella Eyre), Ajay “Stint” Bhattacharyya (Lennon Stella, Demi Lovato), Oscar Scheller (Dan Caplen, Mabel McVey) and Tom Aspaul (Celeste Waite, Tamera Foster). Stream the audio clip for “Pull Up” below. British singer/songwriter Clare Maguire will release her upcoming promotional single “All or Nothing Love” on February 9th via iTunes, Apple Music, Amazon, Google Play, Tidal and all other digital streaming platforms. The track was co-written by fellow recording artist Philip Plested, whose resume boasts additional works with Little Mix (“Touch”), Mali-Koa (“Honest”), Chloe x Halle (“Lazy Love”), Etham (“For Myself”), James Arthur (“Certain Things”), Zayn Malik (“I Won’t Mind”) and Chainsmokers (“Bloodstream”). Maguire’s upcoming third studio collection and follow-up to 2016’s “Stranger Things Have Happened” is scheduled to arrive later this year via independent record label Entertainment One Music. The still-untitled project reportedly features additional productions and songwriting contributions from Richard Stannard (Imani Williams), Lucy Taylor (Mabel McVey), Stephan Moccio (Celine Dion), Tom Aspaul (Hannah Jane Lewis), Richard X (Nerina Pallot) and TIEKS (Celeste Waite). Stream the audio clip for “Don’t Mess Me Around” below. Celeste Waite, known mononymously as Celeste, has shared a new song online. The audio clip for “Not for Me” was posted to the American singer/songwriter’s SoundCloud channel on Friday (October 20, 2017). 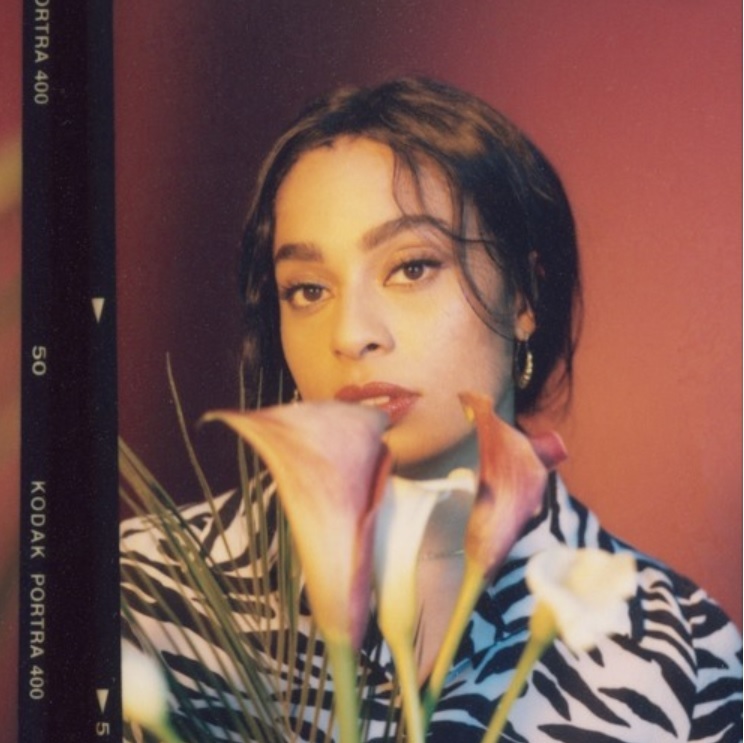 Originally intended for Celeste’s debut mini-album “The Milk & the Honey;” the track was collectively produced by Tev’n (Kenzie May, Joy Crookes) and Jordan “JD” Reid (Mabel McVey, Sinead Harnett). Released earlier this year via Lily Allen’s Warner Music imprint Bank Holiday Records; “The Milk & the Honey” boasts further contributions from Tom Aspaul, John Calvert, Becky Jones, Daniel Smith, Tim Lacrombe, and JAKWOB. Stream the audio clip for “Not for Me” below. Hannah Jane Lewis has teamed up with Future Cut for a new collaboration. The British production and songwriting duo (composed of Darren Lewis and Tunde Babalola) are known for their works with Lily Allen (“Smile”), Shakira (“Gypsy”), Laura Izibor (“Shine”), Foxes (“Let Go for Tonight”), Ella Eyre (“Forever”), Whinnie Williams (“Too Strong”) and Stooshe (“Black Heart”). Future Cut have also worked with songwriters including Andrea Martin, James Fauntleroy, Nina Woodford, Ed Drewett, Amy Wadge, Claude Kelly, Joanna “Jo” Perry, Ian Dench, Amanda Ghost, Wayne Hector, Lindy Robbins, Justin Tranter, Chelcee Grimes, Iain James, Kara DioGuardi, and Sam Romans. Meanwhile, Lewis’s upcoming debut project – featuring current promotional single “Raincheck” – is expected to arrive next year via Hot Hot Records in partnership with Polydor Records. The still-untitled collection reportedly boasts further productions from Lostboy (Maverick Sabre), Jordan Riley (Ray BLK), Dimitri Tikovoi (Mikky Ekko), Phil Cook (Jasmine Thompson), Bastian Langebaek (Jack Garratt), Sky Adams (Kylie Minogue), KIN (Calum Scott) and Mac & Phil (Leona Lewis). 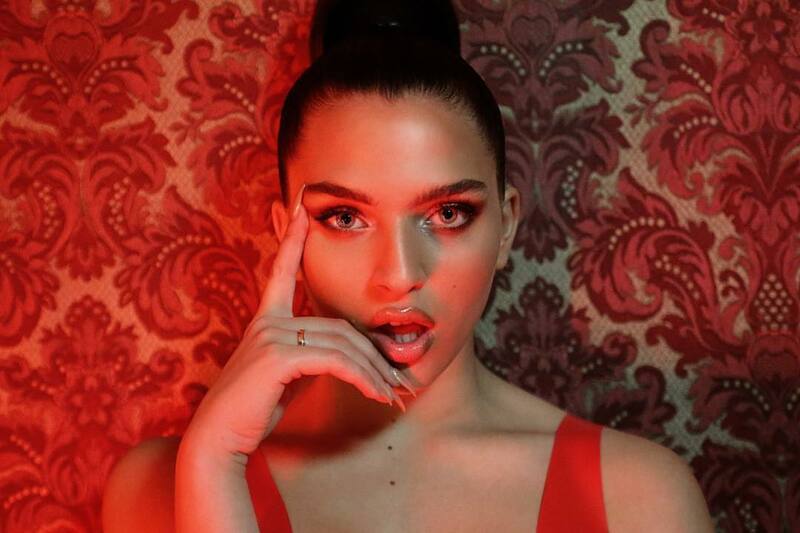 On the songwriting front, Lewis has worked with Hannah Wilson (Fleur East), Karen Poole (Becky Hill), Caroline Ailin (Dua Lipa), Anita Blay (Little Mix), Lauren Aquilina (Imani Williams), Chiara Hunter (Paloma Faith), Max McElligott (Rita Ora) and Tom Aspaul (AlunaGeorge). Stream the audio clip for “Raincheck” below. Hannah Jane Lewis has released her new single online. “Raincheck” – which was written with Nicole Blair, Henrik Moreborg, and Tormod Lokling – is now available via iTunes, Apple Music, Amazon, Google Play, Tidal and all other digital streaming platforms. Lewis’s upcoming debut project is expected to arrive next year via Hot Hot Records in partnership with Polydor Records. 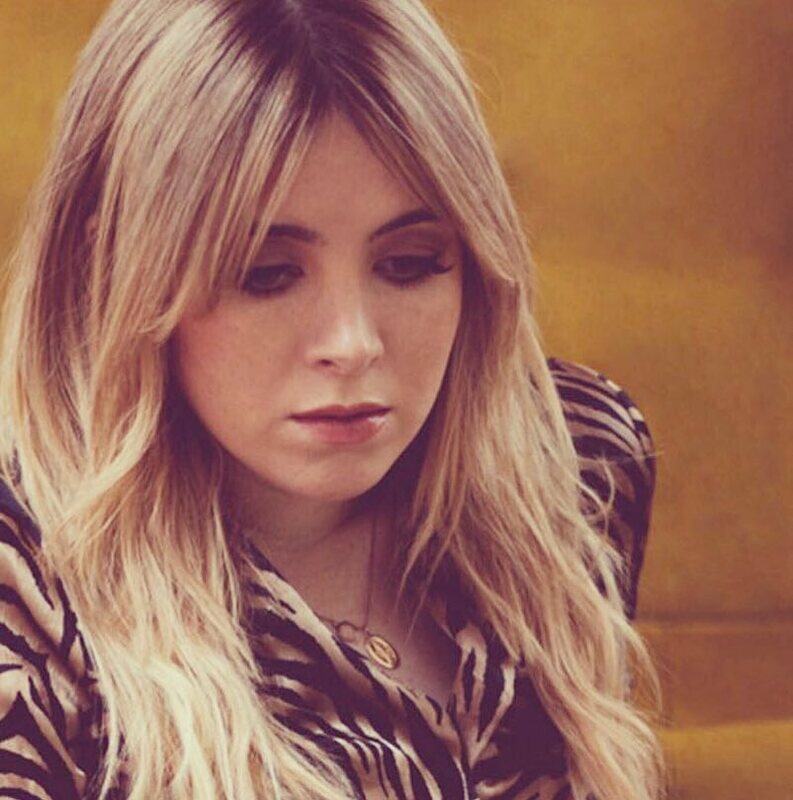 The still-untitled collection reportedly boasts further songwriting contributions from Karen Poole (Antigoni Buxton), Caroline Ailin (Ella Henderson), Anita Blay (Becky Hill), Lauren Aquilina (Mali-Koa) and Tom Aspaul (Celeste Waite). On the production front, Lewis has worked with Lostboy (Elley Duhe), Jordan Riley (Nina Nesbitt), Dimitri Tikovoi (Charli XCX), Phil Cook (Liza Owen), KIN (Ella Henderson) and Mac & Phil (Tamera Foster).